Set trends when you hit the streets in this Special Off Field Rugby Cap from Rugby Division. 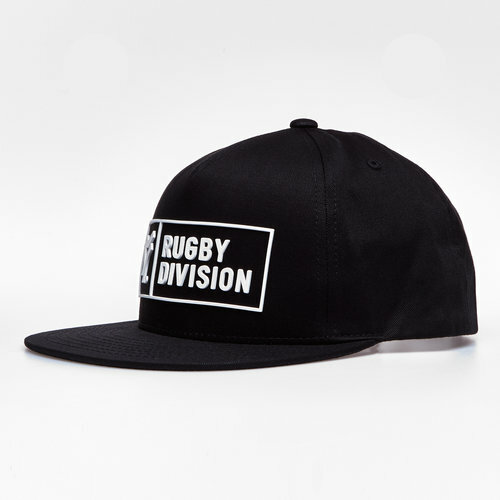 This snapback cap from Rugby Division has been modelled on an American model cap. This cap has been made from 100% cotton for a comfortless fit so that you can keep your mind on what matters. This hat comes in a stylish black colour way with the Rugby Division logo on the front. With an adjustable strap and breathable eyelets this cap provides ventilation for your head and the desired fit.